A) Full payment for the course must be made prior to the commencement of the course. If any amount has not been paid by the due date, an administration fee of $150.00 will apply. We also reserve the right to refuse entry into the course. B) On the course commencement day, personal cheques will not be accepted as a means to settle your account. A) ALL Cancellations made before course commencement will receive full credit towards a future course but no monies refunded. B) In unforeseen circumstances, course dates, times or prices may alter and we are not liable for these changes. If these are not suitable, you will be entitled to a full refund of monies paid. A) Health complaints or injuries incurred on the premises and during the course. A) A Certificate will be issued within 21 working days after completion of the certificate course, providing a sound and reasonable understanding of the course can be demonstrated. B) A Diploma will be issued after satisfactory completion of the diploma course and associated practical and theoretical assessments. C) We reserve the right not to issue a Certificate or Diploma in certain circumstances e.g. If you have missed four or more of the total course hours. 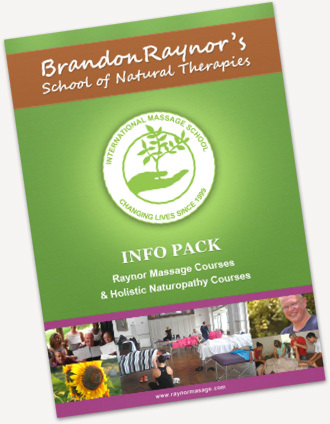 D) On completion of the course you are able to use the description Raynor Massage Practitioner / Raynor Massage Therapist and advertise that you offer Raynor Massage. The use of this term is based on your professional conduct and behaviour at all times. If at any point in the future you are convicted of any offence that brings this title into disrepute the license to use these terms and titles will be revoked.